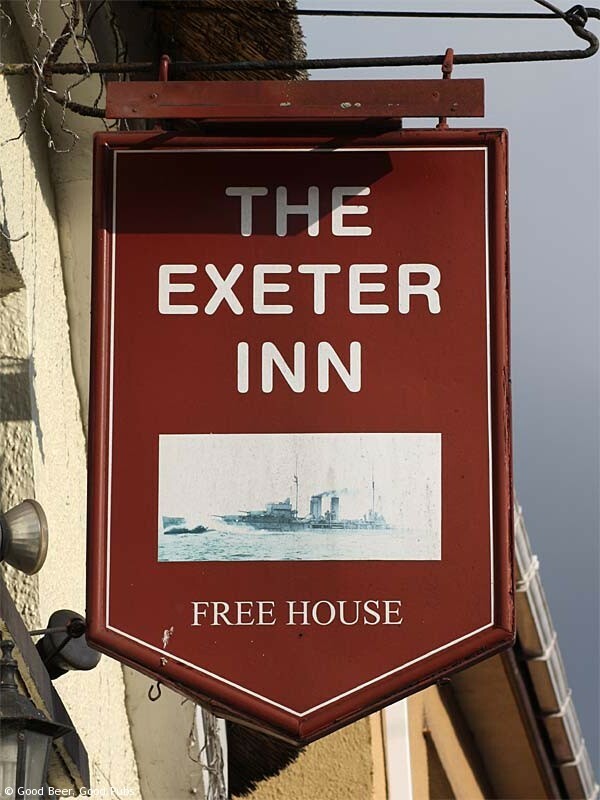 Situated on the north side of Topsham, the Exeter Inn is geared up more for locals than tourists. However, you should not be put off by this as it has a lively welcoming atmosphere. It was certainly noisy on a previous visit as we arrived just in time to catch the final scores on a Saturday afternoon. Initially from the outside the pub looks tiny but there is a larger area behind. The front bit is thatched though as you can see from the photo. 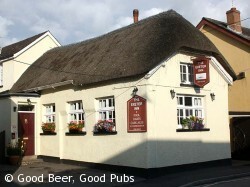 Real ale fans are well catered for here with a good selection of well-kept beers including some local ones. Food is available but I’ve not eaten here.